The absolute standard to compare all others for mildew-resistance, Rewards you with loads of large violet-blue flowers with purple eyes all summer. 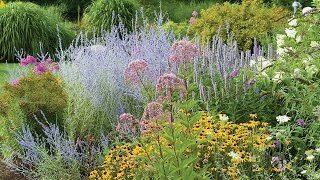 The choice for creating a sea of calming color in the back border. Phlox, Blue Paradise is rated 3.4 out of 5 by 5. Rated 3 out of 5 by Pat R from A little dissapointed. I'm not sure if my gardener planted my Phlox wrong, or they are not supposed to bloom yet, but I have seen no results to this date. I am unable to do my own gardening due to health issues so I hire someone. She has done an amazing job so therefore I was surprised that the Phlox did not bloom. Maybe we'll try again next year. Thank you. Rated 4 out of 5 by The Dragon from Pros and Cons This phlox grew quickly in bagged garden soil i mixed in the ground. The color is almost like the picture, but a little lighter, with an almost pinkish hue. It still looks quite purple. I grow them in two planters, one that gets only morning sun and the other that gets pelted with hot sun all afternoon. The phlox in both planters does well. I agree with another reviewer who complained that the stems tend to flop over when weighted with the bloom on the end. All the same, except for my lilac and black mondo grass, the blue paradise phlox is my best performer with non-stop bloom-age and very little, almost negligent care. Rated 2 out of 5 by SherlockianOne from Poor plant never took off as hoped I do love Burpee seeds, but have been unimpressed with plants. Rated 3 out of 5 by Undine from Not Blue The first plant I ordered arrived broken of right at the soil and I was sent another. The stub of the broken plant miraculously grew back eventually. 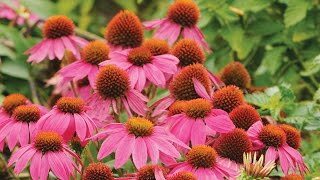 They are very pretty, but flop over when heavy with blooms. The color is more of a bright magenta. Rated 5 out of 5 by Elizabeth from Outstanding color I ordered Blue Paradise with David phlox this year. When the plants arrived, I noticed that the Blue Paradise stems were darker with an almost deep maroon streak going through them and the leaves were a darker green so I could tell the difference between David and Blue Paradise even without reading the labels. The Blue Paradise is less vigorous than David (stems are weaker, plants are a bit shorter) but they bloomed first in a part shade bed. I am giving it 5 stars for the color which is deep and bold - it is more of a dark violet and not necessarily blue. It goes wonderfully well with pinks like Shortwood phlox.